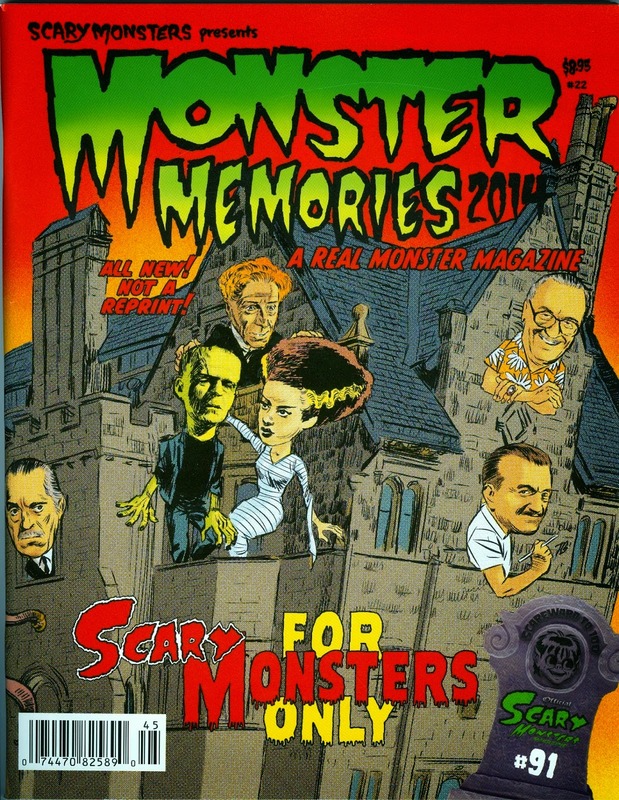 who contributes regularly to Scary Monsters Magazine and other sources. 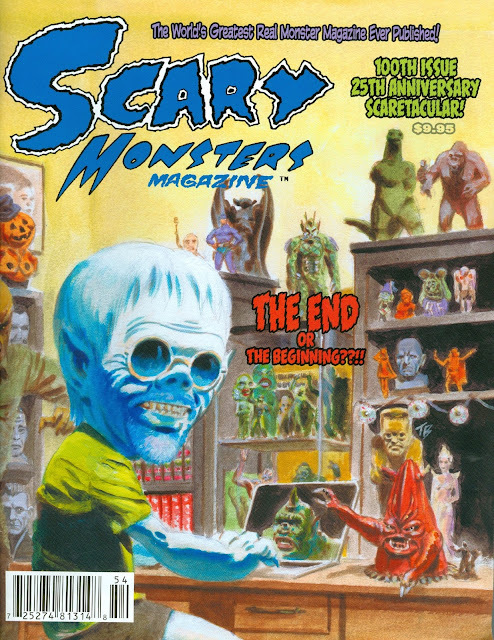 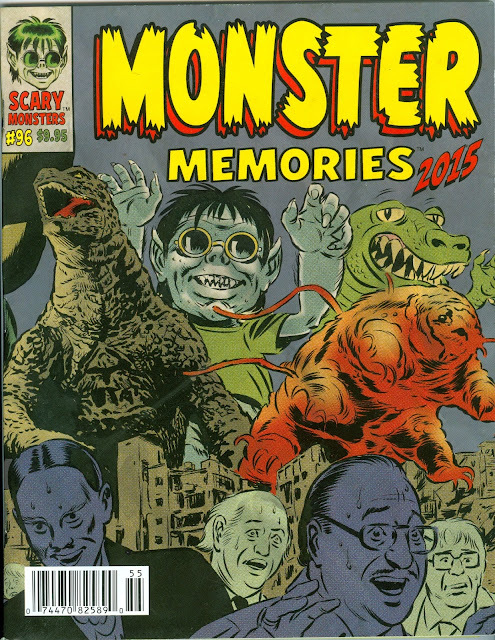 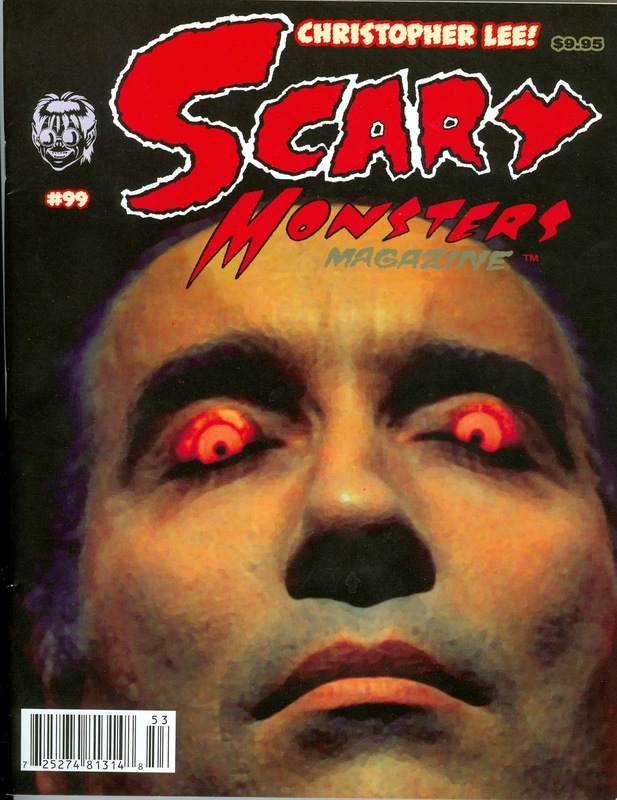 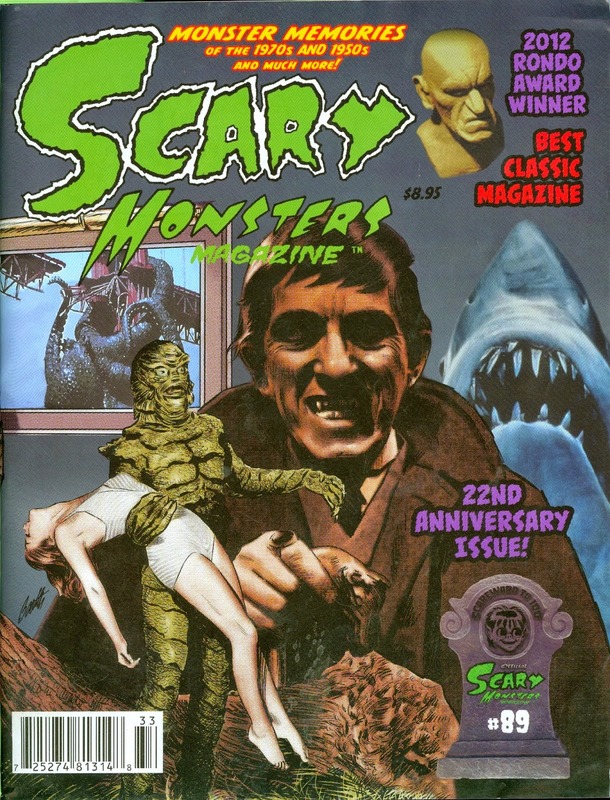 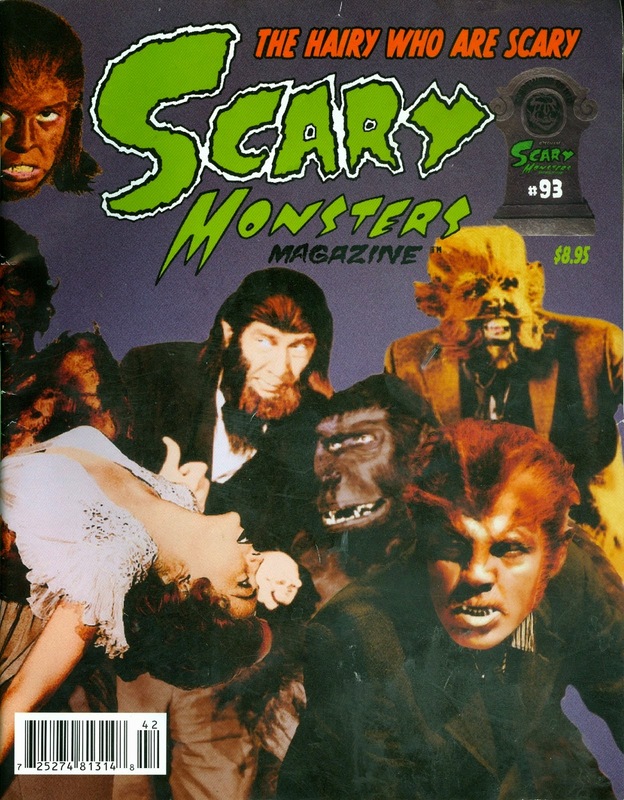 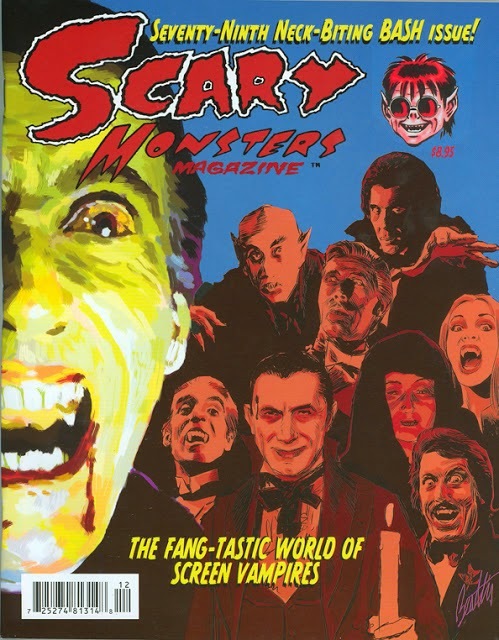 The following is a list of Scary Monsters Magazines featuring Dr. Gangrene articles. 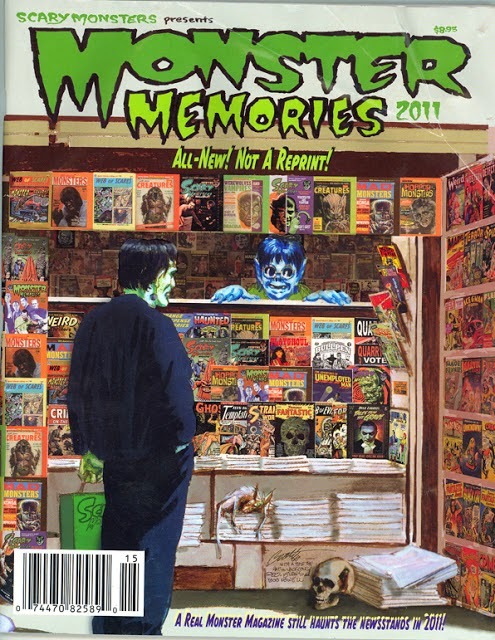 and click on the pages to enlarge them. 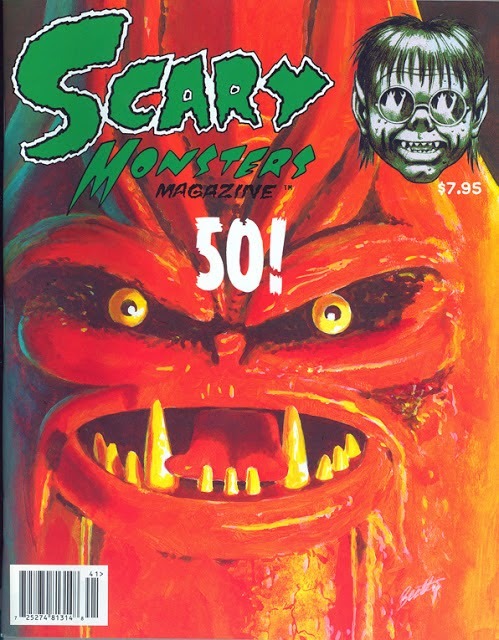 Horror Host Round-up congratulating Dennis on reaching 100 issues. 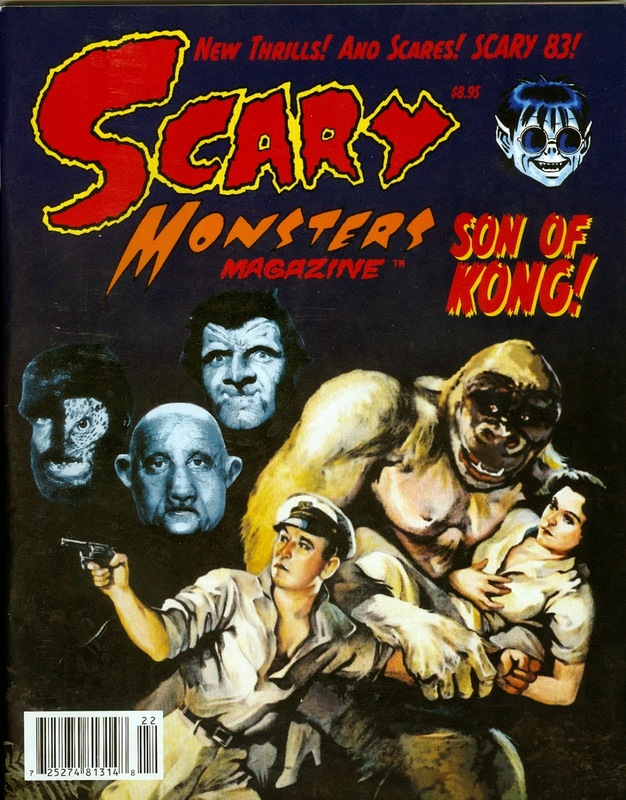 Doc Gangrene chats with Kurt Larson, writer/director/producer/actor of the new indy feature film SON OF GHOSTMAN, a loving tribute to horror hosts old and new. 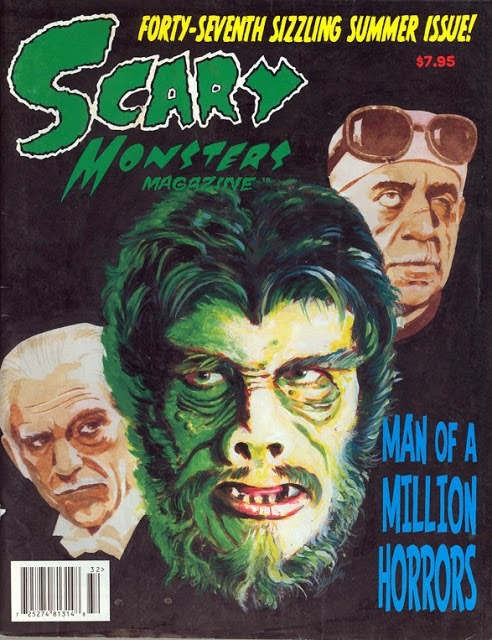 Dr. Gangrene interviews Ed Douglas, musician, film producer/director, and mastermind behind Midnight Syndicate, the ultimate haunted soundtrack company. 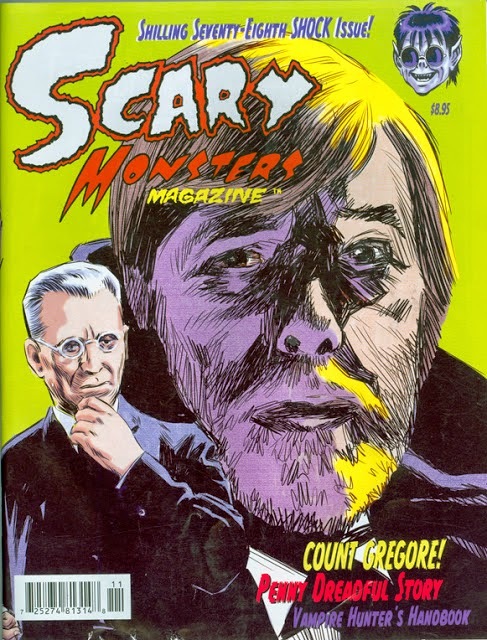 the legendary Count Gore DeVol. 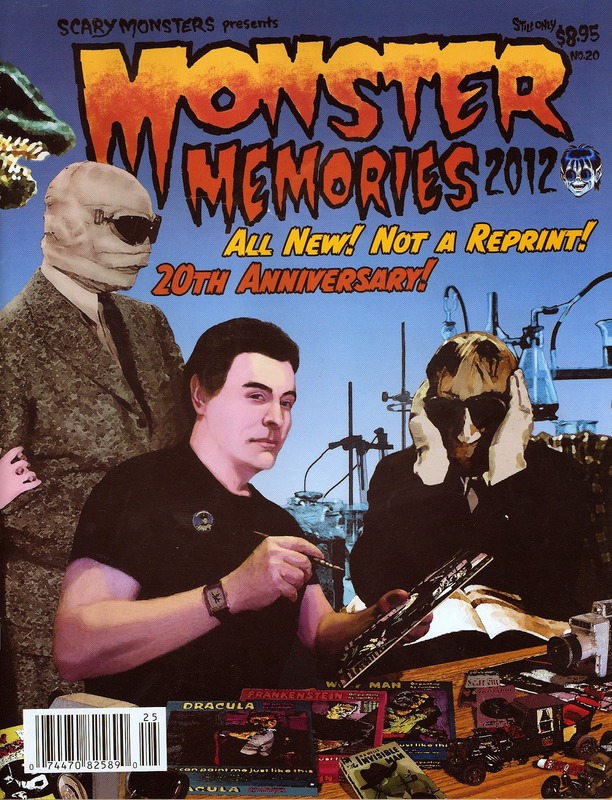 responsible for the iconic DESIGN of the creature. 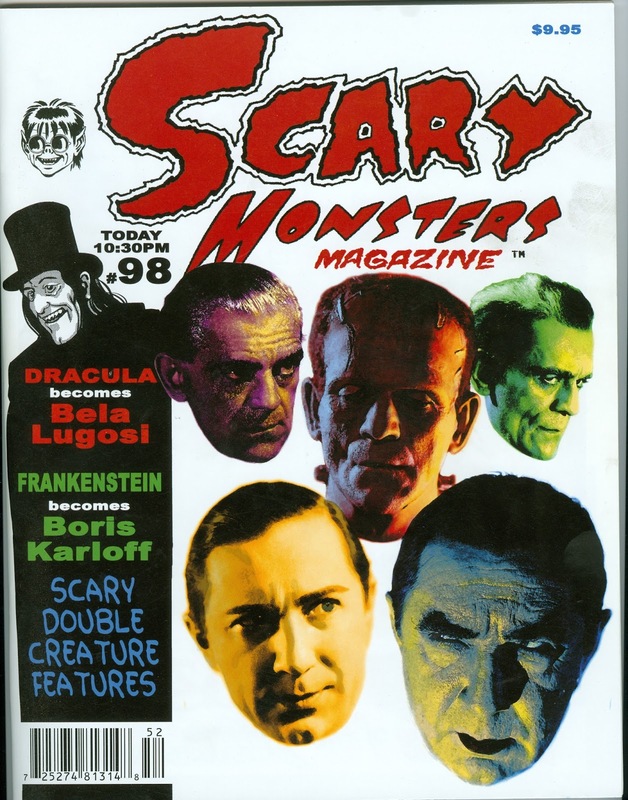 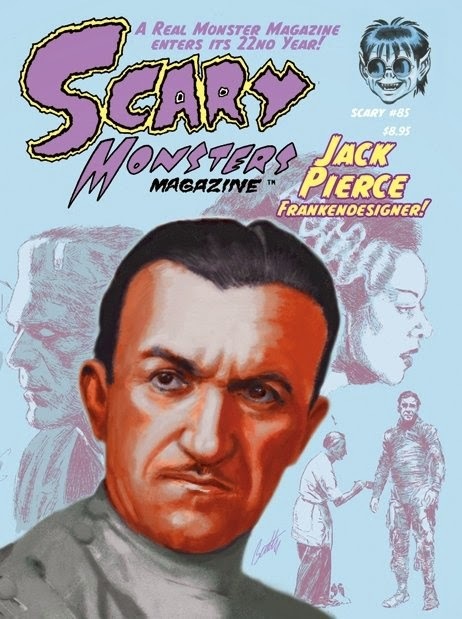 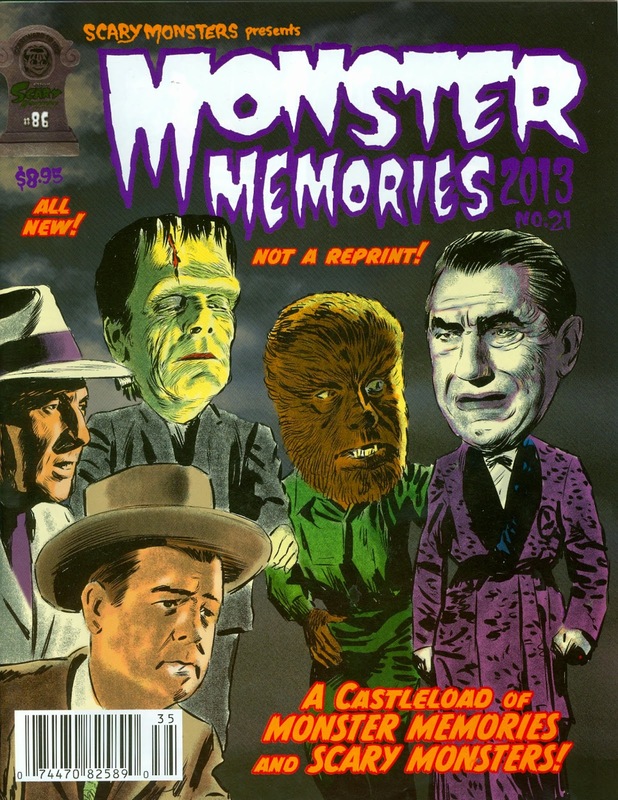 In this issue of Scary Monsters Magazine from October 2012 Dr. Gangrene took a trip back in time to 1932 with the film White Zombie, starring Bela Lugosi. 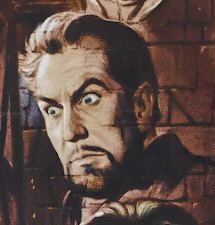 He also spoke with filmmaker Jared Rivet about the proposed remake of White Zombie with Director Tobe Hooper that ALMOST happened, and what stars would have possible filled the cape of Lugosi in the role of Murder Legendre. 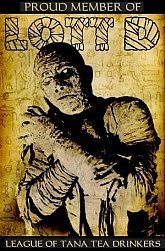 A look at EEGAH, the name Written in Blood! 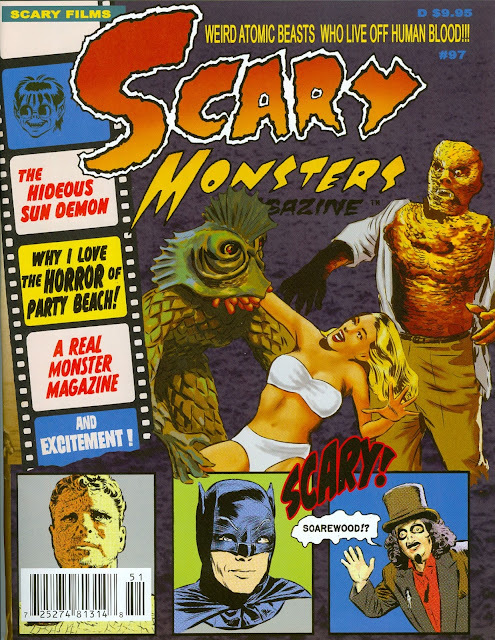 Dr. Gangrene takes a look at one of his favorite b-movies, the prehistoric throwdown from Fairway International Pictures, EEGAH. 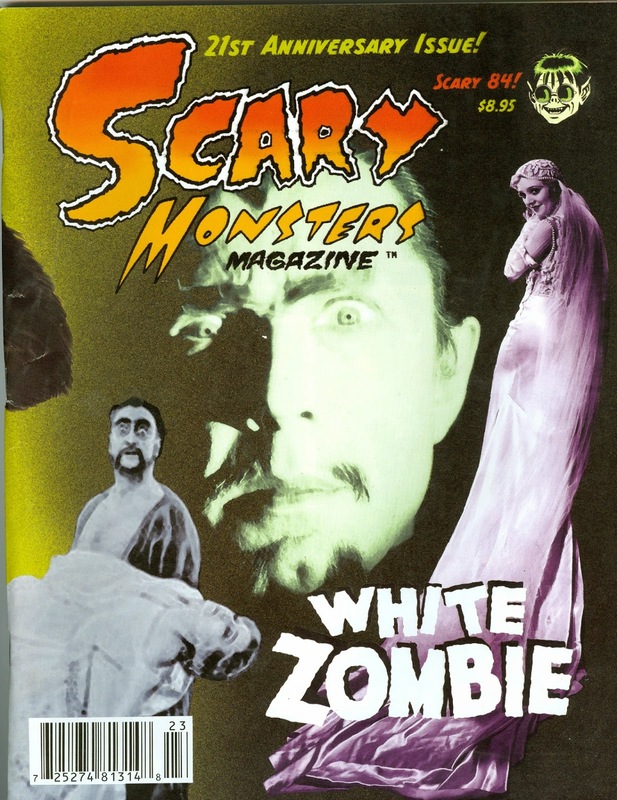 he also talks to stars Arch Hall Jr. and Richard Kiel about this gem, too. 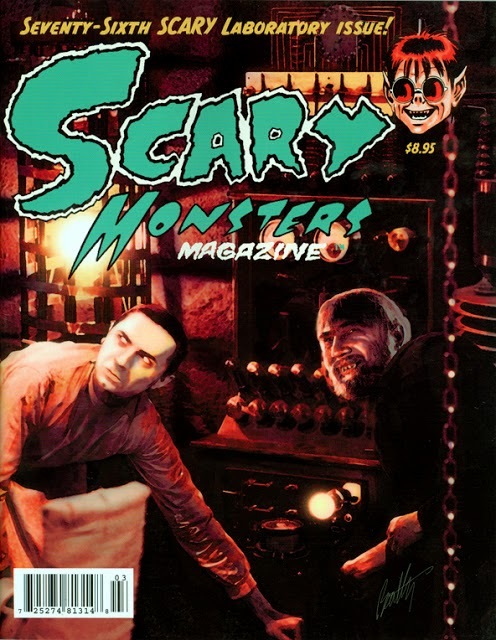 In celebration of the 90th anniversary of this German Expressionist classic Dr. Gangrene takes a look at the film and explores the history and inspiration behind the movie that left its mark (twin fang marks) on horror film history. Dr. Gangrene interviews artist extroidinaire and fan favorite Eric "Unkle" Pigors. The two discuss Eric's horror roots, his work in art, animation, mask making and more. 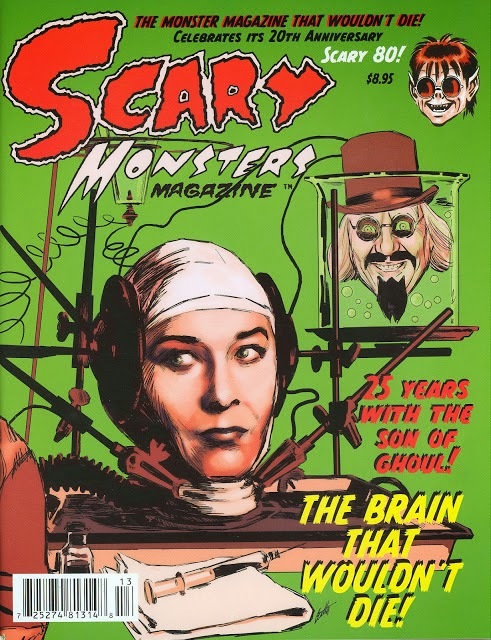 Dr. Gangrene takes a look at the Hammer film version of Frankenstein in THE CURSE OF FRANKENSTEIN and compares it with the original Mary Shelley novel. 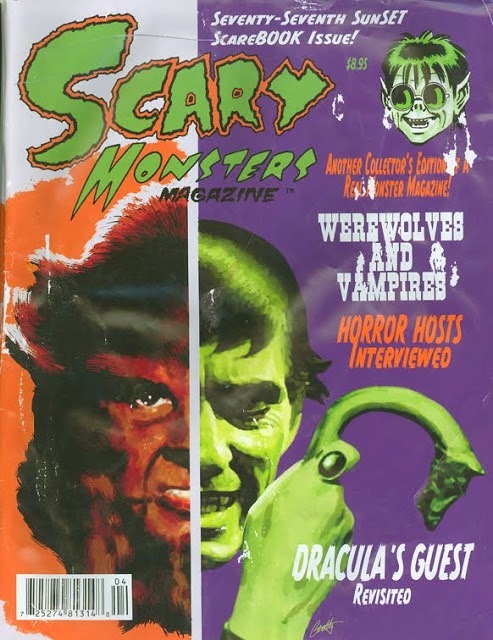 Interview with Bob McGehee, classic Nashville horror host from the 1970s. 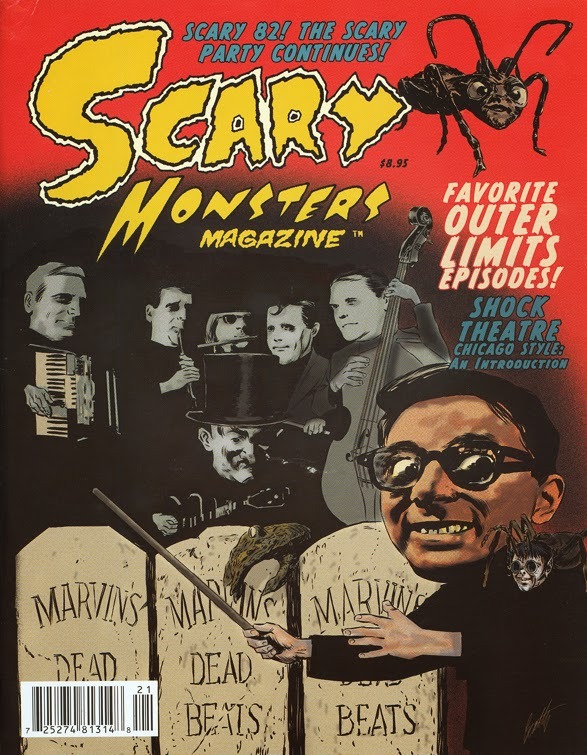 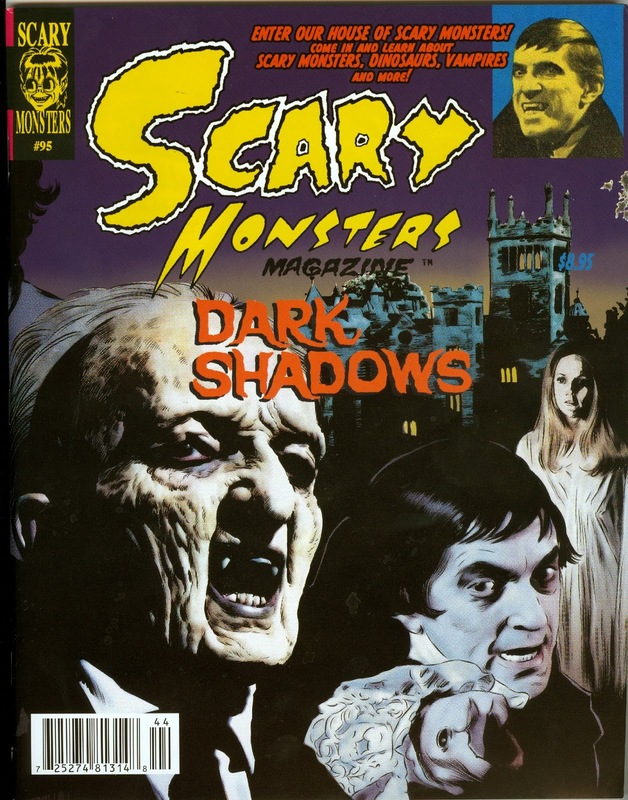 Talking the Sadist with Arch Hall Jr.
For this issue of Scary Monsters I sat down with Actor Arch Hall Jr. to discuss The Sadist, in what is probably the most indepth interview he has ever given about that particular film. In this issue I interview former Memphis, TN horror host Count Basil, aka Mike Curtis. 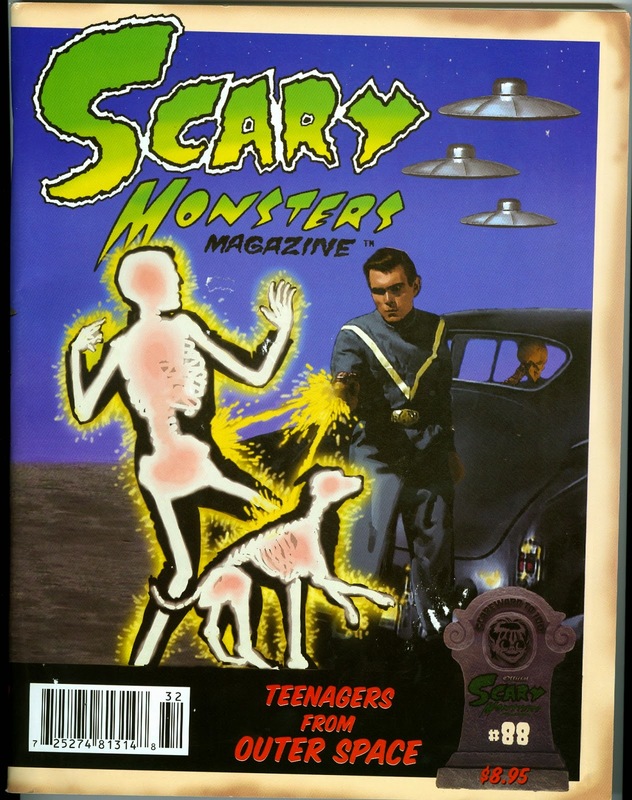 I spoke with John Agar III in this issue, son of famous actor John Agar, star of The Brain from Planet Arous, Tarantula, Revenge of the Creature and many more about growing up the son of a famous actor. 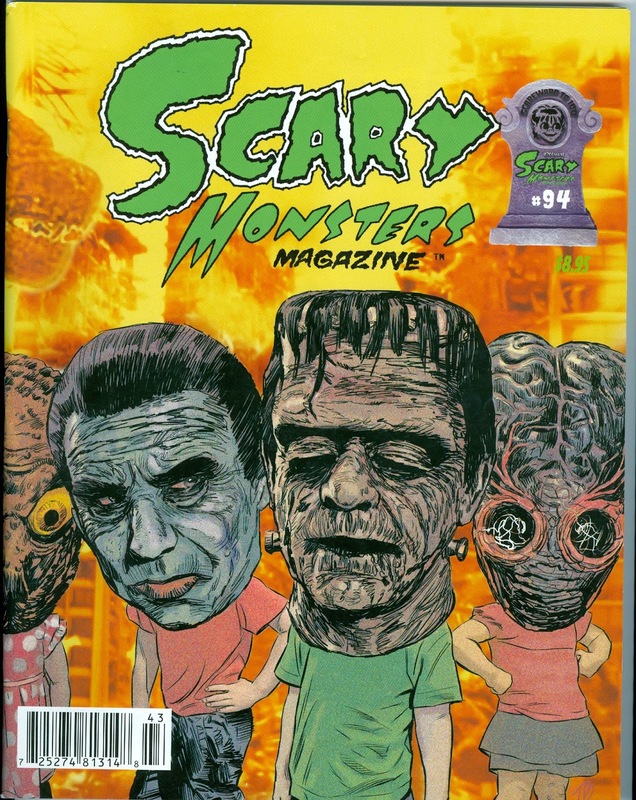 In this issue I spotlighted the short film FLIP and interviewed filmmaker Kirk Demarais about an imaginative young boy with a love of monsters. 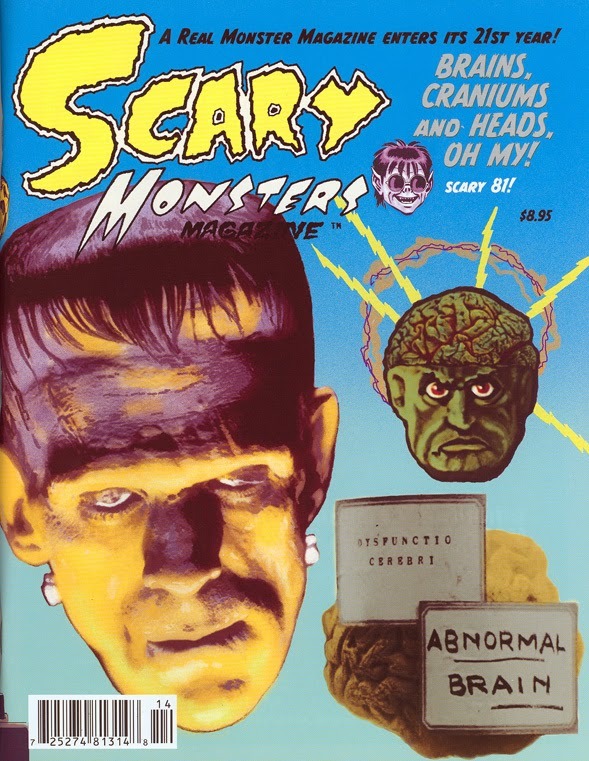 the follow up to his 1968 film The Astro Zombies.